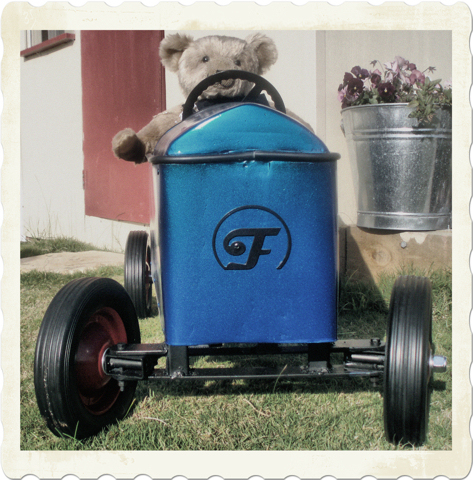 Fenix, the hand built retro pedal car that the children will find irresistible. This is not a toy stamped out in a factory, it is a rugged rocket built from solid steel. This pedal car for children aged 3-6 will certainly be the talk of the neighbourhood. Retro is in and the Fenix is sure to bring a smile to the faces of children, parents and grandparents alike. With classic curves from the 1950s and 1960s it is available in red or blue. It's even available in kit form for those that wish to build it in their workshop. This is not some basic screw-together flat packed toy. 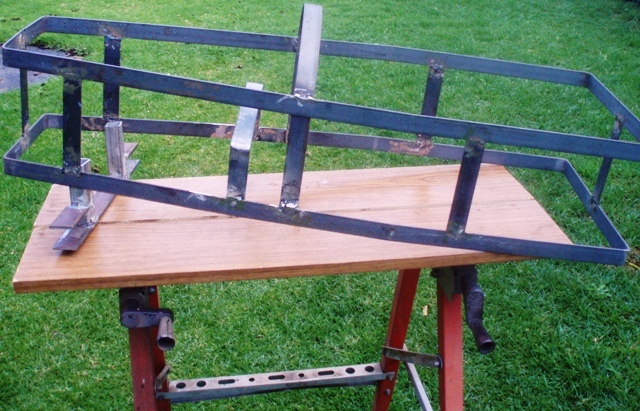 Sure, some of the work has been done for you but you'll be the one building the pedal car. Wait until you see your child / grandchild's face when you roll it out of the workshop! You can say "I built that myself". Instructions are included and help is only an email away. Picture to the right shows a kit in progress. Aluminium rivets, seat padding, paint and Fenix emblems. If you'd like to become a reseller contact us for more details.